The Edmonds Cookery Book has been loved and trusted by New Zealand families for almost 100 years. Everyone has an Edmonds recipe to which special memories are attached; we undertook a national quest to collect these special recipes. All your favourite recipes are included in Classic Edmonds, along with Edmonds famous 'handy hints'. Snippets of Edmonds history and recipe trivia are also presented. Not only a great piece of Kiwi kitchen nostalgia, but an invaluable collection of loved and reliable recipes. 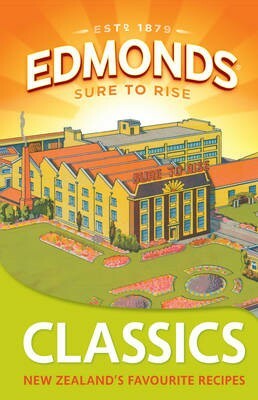 Classic Edmonds pays tribute to the recipes and memories of the New Zealand kitchen.